Home / Fanboying! / Call Me By Your Name! 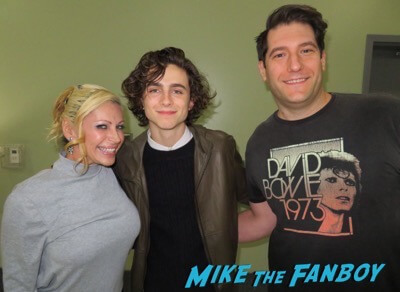 Meeting Armie Hammer and his co-star Timothée Chalamet! Autographs! And More! It’s always fun when you go to an event and get an extra bonus. I was at a q and a recently and I knew that there was another q and a with Call Me By Your Name. I’ve been wanting to see it but haven’t had a chance. Now, I left that screening about 3/4th’s of the way through to see if the Call Me By Your Name guys were wandering about. To my shock and surprise, they were! Armie Hammer was super nice. He signed my poster and was really super cool. 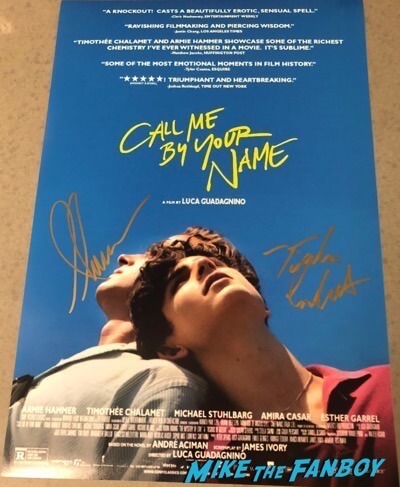 He called his co-star Timothée Chalamet over to sign my poster as well. 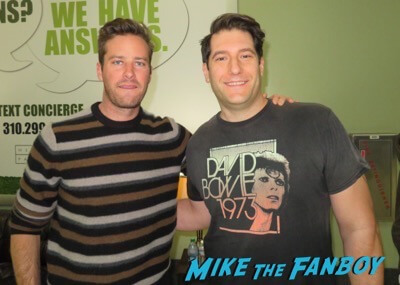 I got a photo with Armie Hammer, who really was very kind. Then Timothée Chalamet did a quick photo as well as his publicist was going crazy saying that he had to go even though he just moved to the lobby to stand around. Still, it was a fun bonus and the poster looks awesome! 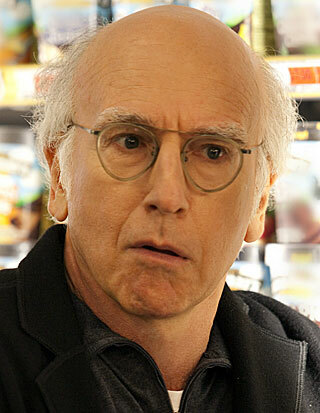 Wait… Larry David Makes Fun Of His Waiting Fans After They Paid $75.00 A Ticket To See Him! Say Wha? Cult Classic Corner! 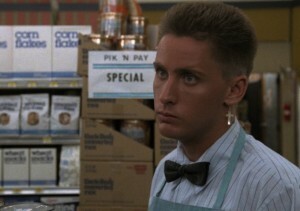 Jack Calls A Repo Man After Meeting Emilio Estevez! Harry Dean Stanton! Tracy Walter! Autographs! Photos! 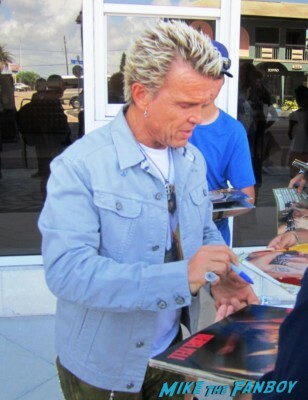 Kenny Let’s Out A Rebel Yell After Meeting 1980’s Legend Billy Idol! Autographs! Photos! And More Retro Coolness!